One factor that determines whether someone is behaving like a blowhard is the balance between their talk time and the value of their contributions. Meeting blowhards are people who repeatedly consume more talk time in meetings than the value of their contributions can justify. Being a blowhard is not about getting more than one's "fair share" of talk time. What matters most is whether the time blowhards consume is in line with the value of their contributions. Most of the techniques that control blowhards so effectively in face-to-face meetings don't work as well in virtual meetings. For example, in a face-to-face meeting, if a blowhard is just starting to hold forth, we might declare a break to interrupt the blowhard, and resume after the break with a change of topic. But in a virtual meeting, if we declare a break, we can lose valuable time and perhaps several participants. Because blowhard behavior is a performance issue, it's best to deal with the problem through the blowhard's supervisor. But to handle it in the moment, here's a set of suggestions for controlling blowhards in both face-to-face meetings and virtual meetings. Most large meetings (more than six to eight people) maintain queues of people waiting to speak. Many small meetings don't, because informality usually works. But if blowhards are present, queue management helps in rationing time: "Let's leave it there, we have a couple of people in the queue." Agree in advance to cap the time contributors receive with each speaking opportunity. Three minutes might seem short, but try it. Filling three minutes with real, original value is usually difficult when speaking extemporaneously. each speaking opportunityadvance that contributors limit themselves to just a few points, subject to the ruling of the chair. Limits make the conversation easier to follow, but more important, they compel people to focus on what they regard as most important. And they hobble blowhards. Two is a good number. Because consuming large chunks of time while staying on topic is difficult, blowhards wander. Define a no-digression norm, and appoint a Designated Digression Detector with the authority to interrupt the meeting at any time, to enforce it. Because summaries consume time without requiring original thought, blowhards love summarizing others' contributions. Ban voluntary summaries. Let that be a duty of the chair, or delegate it to a Designated Summarizer who fills the chair's requests for summaries. Restating what others have said, with possible distortions, is another pattern blowhards love. 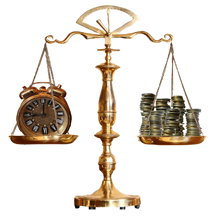 Ban restatements as a waste of time. Require all contributors to make their own points directly. Another favored blowhard pattern is deflecting the conversation into territory more favorable to the blowhard. Declaring a discussion to be "build-only" prevents this. All contributions to build-only discussions have the property that they build on, elaborate, or make inquiries about one or more previous contributions. Engaging the blowhard with objections, interjections, critiques, or almost anything else only serves the blowhard's purposes, because engagement usually requires a response from the blowhard. If private intervention has failed, and supervisor intervention has failed, and the blowhard behavior continues, let the blowhard's contribution plop (See "Plopping," Point Lookout for October 22, 2003). If someone else picks it up, deal with it then. Are your virtual meetings plagued by inattentiveness, interruptions, absenteeism, and a seemingly endless need to repeat what somebody just said? Do you have trouble finding a time when everyone can meet? Do people seem disengaged and apathetic? Or do you have violent clashes and a plague of virtual bullying? Read Leading Virtual Meetings for Real Results to learn how to make virtual meetings much more productive and less stressful — and a lot shorter. Order Now! Would you like to see your comments posted here? rbrenGKLtzrVOpVLanQBgner@ChacoTRiIRirjlYoVDtuoCanyon.comSend me your comments by email, or by Web form. See also Virtual and Global Teams and Effective Meetings for more related articles. I offer email and telephone coaching at both corporate and individual rates. Contact Rick for details at rbrenZdoWvNmkCGsdjbIYner@ChacyyyCxtXaTbAnscLDoCanyon.com or (650) 787-6475, or toll-free in the continental US at (866) 378-5470.